This striking property nestled in the Gunyulgup Valley is a wonderful self-catering escape. 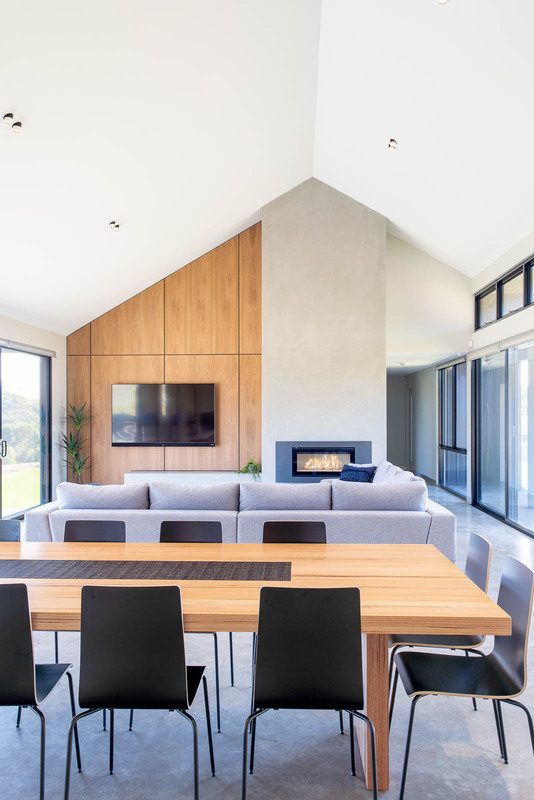 This contemporary barn-style holiday home features high-end finishes throughout. Guests will instantly relax as the hustle and bustle of city life is replaced by the native birdsong and beautiful valley vistas. The impressive entrance frames the vista and your eye is drawn through the living and alfresco areas to the trees and vineyards beyond. The open-plan living, kitchen and dining area is the heart of this home, with stretches of glass along each side and high, cathedral like ceilings. The south-western side opens onto a generous alfresco area, where guests can soak up the views as the sun sets behind the ridge and casts a golden glow across the valley. The nominated chef for the evening won’t be missing out, whether they are creating in the well-equipped kitchen or cooking at the BBQ with views to the hinterland in the east. This is a house for all seasons. In the summer, open the floor to ceiling sliding doors and let the afternoon breeze flow through. 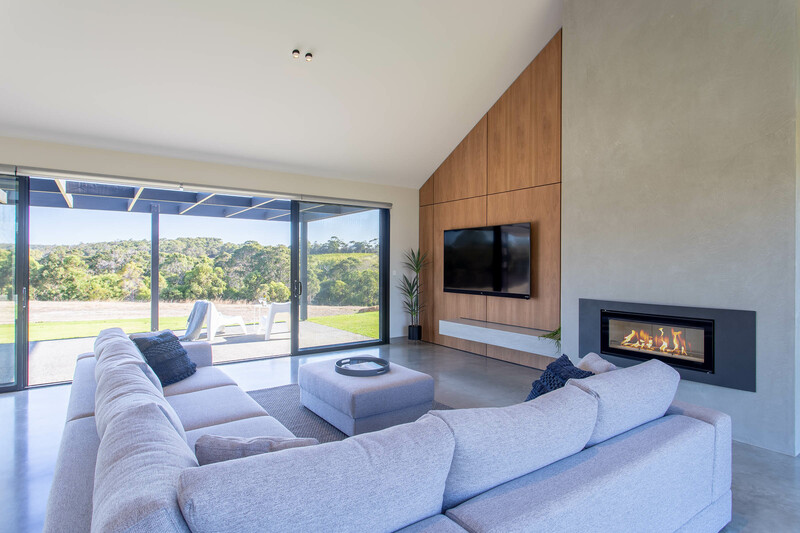 The expanses of glass will soak up the winter sun, and the wood fire and ducted air-conditioning, will ensure cosy nights on the coolest of evenings. There are separate accommodation wings at this home. Two identical, master suites each with their own en-suite at one end, and the three additional bedrooms that share a bathroom are at the other end of the house. All bedrooms are generous in size and have a contemporary feel. Casa Nera is an ideal base from which to experience the best the South-West has to offer. Close to iconic beaches, boutique wineries and restaurants, breweries, wellness centres, art galleries, attractions for the kids, and the townships of Yallingup and Dunsborough. 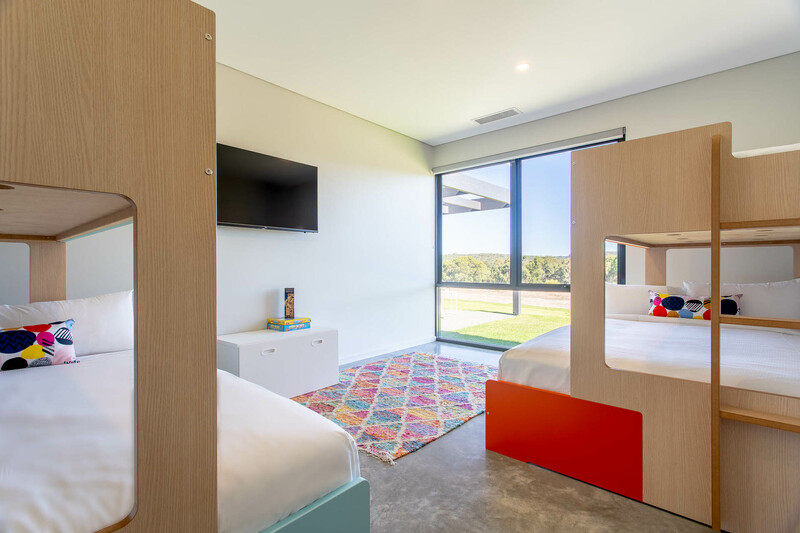 Guests can really getaway from it all here – explore or simply relax and watch the sheep mooch about in the neighbouring paddocks, or the kangaroos hop through at dawn and dusk. Browse all our rural holiday houses in WA, take a look at our other Yallingup accommodation options, or view our full range of South West accommodation. All images are © Copyright Private Properties Australia. Duplication, reproduction and/or distribution of this image is strictly prohibited without prior written permission from Private Properties. To view the Seasonal and Holiday Calendar, click here. 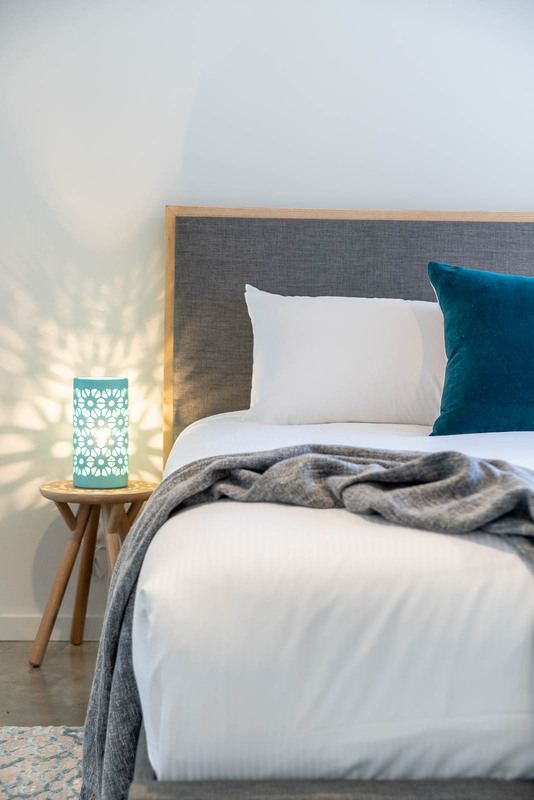 Our prices include all beds made, premium linen provided and a standard clean on departure (see our FAQ page for more details). No hidden extras.